Replacing 2003 V70 REAR UPPER control arms. So while parked at a bank last week, my 2003 V70 T5M was whacked by an out-of-control granny. Most of the damage was to the right rear suspension. Fortunately, I found a junked donor car 30 minute away. I've got almost everything apart on my car and it looks like all the suspension parts need to be be replaced. 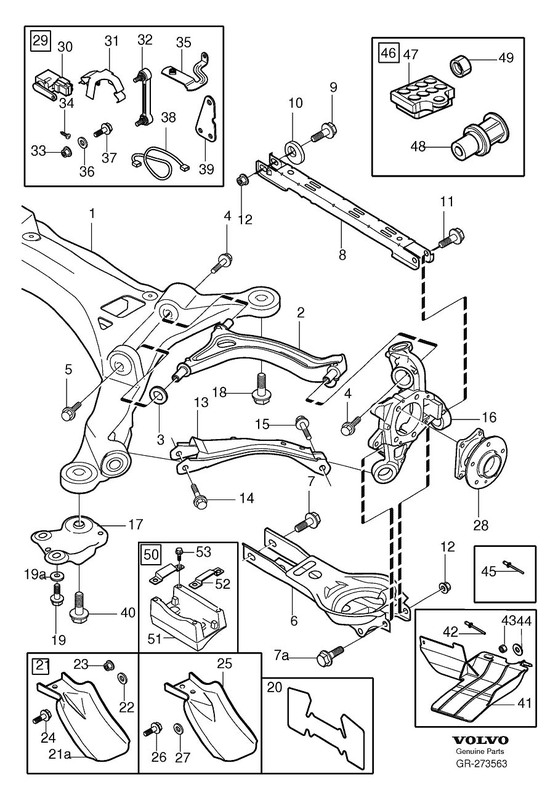 I can't figure out the upper control arm(#2 in the diagram below). Even if I can get the bolts (4&5) undone, which I haven't tried yet, the arm looks like it's captive to the sub-frame. Can anyone enlighten me?